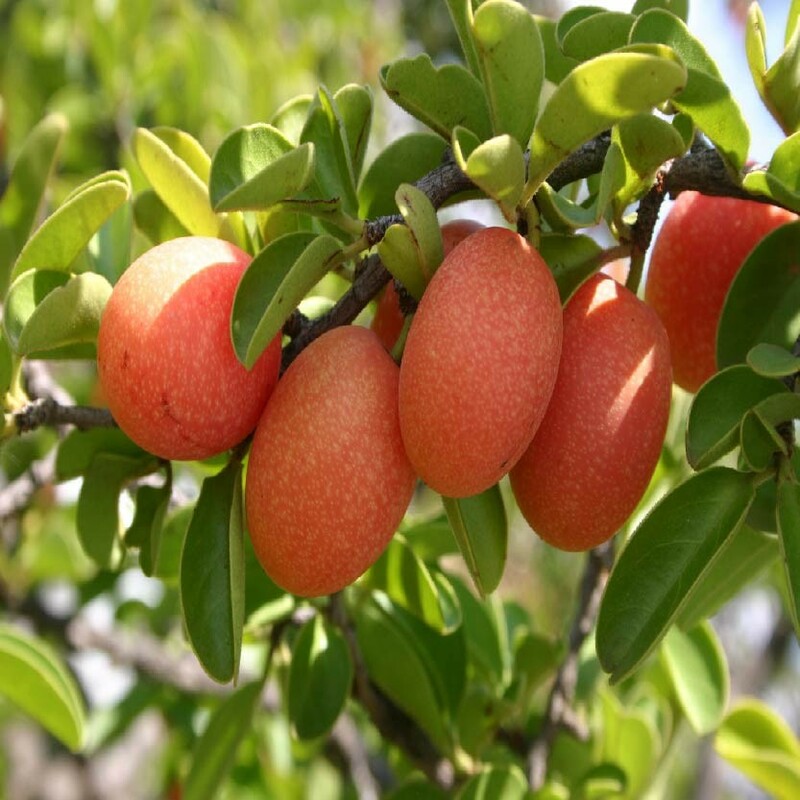 Ximenia Americana is a shrub where the fruit is like a stone with just one seed, which is exceptionally rich in oil: up to 75% of its own weight. Ximenia Americana is present in the African savanna of Namibia to Zimbabwe. This tree is also found iin the Great Green Wall. Ximenia Oil protects the hair from the wind, sun and salt. This oil is also used on the skin because of its nourishing, restorative, regenerative, calming, protective, filmogenic and anti-ageing properties.